Cajun food is known for its fiery blend of spices including paprika, garlic, and even hot peppers. Rather than trying to recreate classic Cajun flavor yourself, let Fiesta Brand Cajun Red Fish & Meat Seasoning lend you a hand. 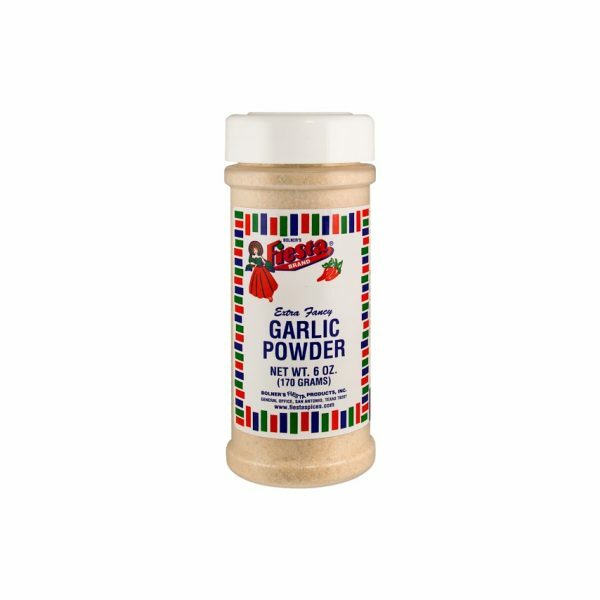 This seasoning is the perfect blend of fiery peppers, flavorful garlic, and tender onion combined with all of your favorite Cajun spices – all in one bottle! 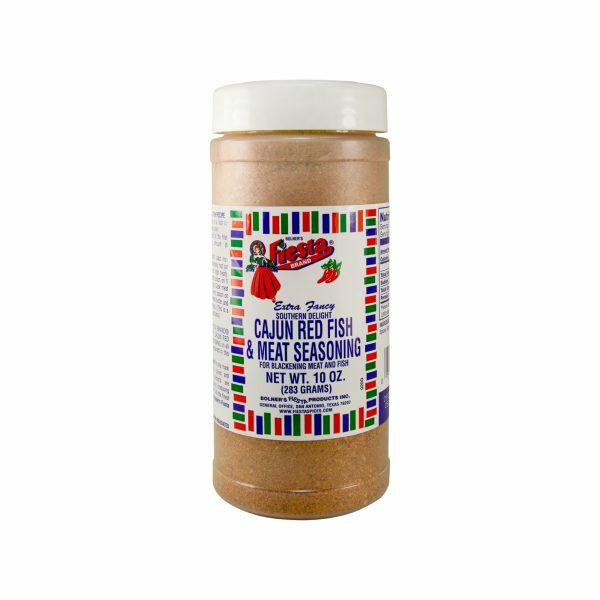 For an authentic Cajun-style meal, brush your favorite cuts of meat or red fish with melted butter then sprinkle liberally with Fiesta Brand Cajun Red Fish & Meat Seasoning. Sear the meat over an open flame and serve hot with a side of Spanish rice or your favorite Cajun-style side dish. Garlic, Spices, Onion, Salt and Paprika. 1.) Brush both sides of a fish our meat fillet with melted butter. 2.) Sprinkle both sides of the fillet with a generous amount of seasoning. 3.) Heat a heavy skillet (cast iron works best) until extremely hot (at least ten minutes on high heat). Place a fillet in the pan and spoon on 1 teaspoon belted butter. Cook meat for 2 minutes. Turn over, spoon on 1 more teaspoon melted butter and cook two more minutes. This is a very smoky cooking process). 4.) Enjoy! 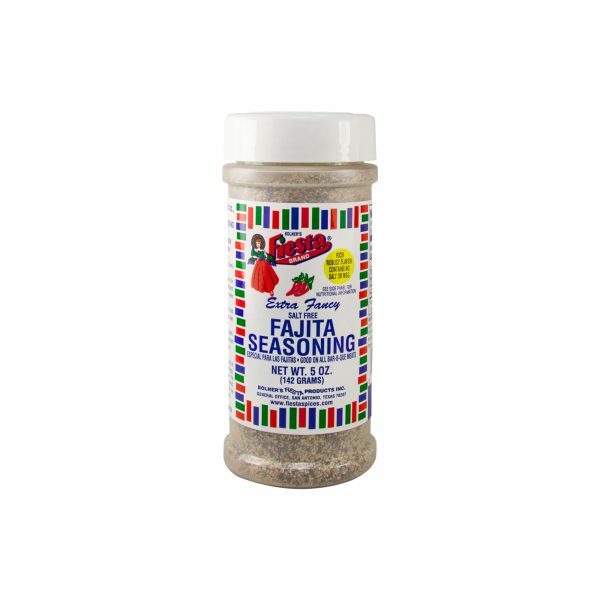 Try Bolner's Fiesta SOUTHERN DELIGHT CAJUN RED FISH & MEAT SEASONING on all steak and seafood prepared in this manner.